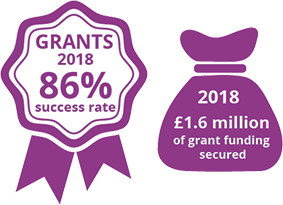 The UKSE Kickstart Fund was launched with support from RIDO and Rotherham Youth Enterprise and is dedicated to supporting people looking to establish a business in the local area. A subsidiary of Tata Steel, UK Steel Enterprise provides equity and loan finance to growing companies. Established businesses in need of growth finance can contact the UK Steel Enterprise team on 0800 915 1188.